The question everyone wants to know, right? How do Bloggers make money? Well, I thought it’d be fun to share with you how I make money blogging. I’m sure everyone is different, and we all have our own ways. 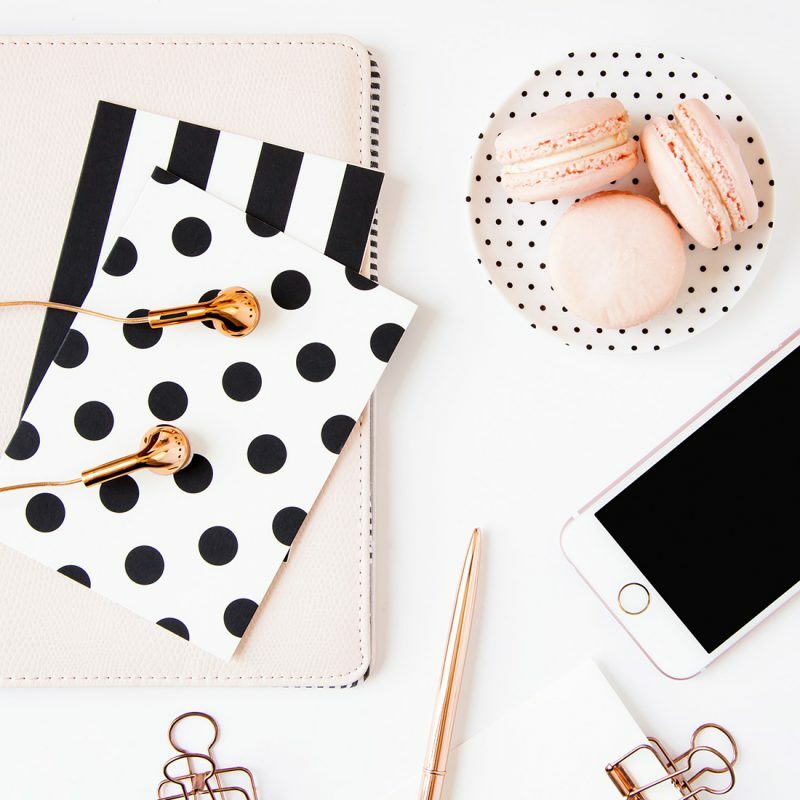 But if you’re thinking about getting into blogging for some extra income, or you’re like me and want to blog full time, there are SO many different ways to go about it! Here are the main ways I use, as well as some that I don’t use but that are options as well. This is the main way I make money from my blog, and most other bloggers I know as well. Affiliate links are links that you put in your blog posts that lead to the products or services you’re writing about. If someone makes a purchase through them, you get a commission on what they buy. This DOES NOT cost the customer anything additional. It’s just like the company is tipping you for bringing them a sale they might not have had otherwise. How do you get affiliate links? I use RewardStyle and ShareaSale for most of my affiliate links. RewardStyle is an “invitation only” affiliate program and they are pretty selective with the approval process. It took me 3 time applying to be accepted. They’re the same company that runs LIKEtoKNOW.it which I’m sure you’ve seen on Instagram either through fashion or home decor bloggers! *If you’re interested in me recommending you for RewardStyle, please email me at dani@danithom.com! ShopStyle is another option that I used before I was accepted to RewardStyle. They work very similarly, but they also have a pay-per-click option if you would prefer that to commission. Their commission option is called “CPA” and once you transition over to it from pay-per-click, you can’t go back. The pay-per-click option gives you 5 cents for every time someone clicks on a link you share. You need a LOT of clicks to make this worth it. Typically, commission is much faster to earn, even if your sales are sporadic. Now ShareASale is my big money maker. I make over $1000 a month with them, just by sharing things that I love and use! Being able to work with multiple companies through this one site is extremely helpful. I’ve even gotten pitched by brands who have seen my numbers on there wanting me to work with them! With ShareASale, you sign up with your blog, and then you apply internally to work with various brands. I work with TheRealReal, Lulu’s, Minted, SheIn and Tailwind through them. *Side note, don’t be affiliated with a brand you don’t know, use and love. The reason people buy through you is they trust your recommendations. Don’t ever lead your people wrong for the sake of making a sale!! It will cost you your readers trust which you can’t get back! The last way to get affiliate links is to go to a website you like, scroll to the very bottom and see if they have anything in their footer that says “affiliates” or “affiliate program”. You can typically apply directly with them. I’ve done this with eBay, Amazon and a few others. A sponsored post is when a brand or company compensate you to share content for them. They can pay you with money or with product, that’s up to you. You can have sponsored blog posts as well as instagram posts, instagram stories, Pinterest posts, Facebook posts, Twitter posts. The list goes on. How do you get a sponsored post? I wrote a whole post about it, but the main way is to pitch yourself to brands. Yes, that can be a little intimidating. But blogging is a journey, and as you go, you get better, your writing and content get better, and you get more confident. Plus, having an awesome media kit can do the talking for you! If you want to try to get sponsored posts but have no idea where to start with what you can charge, check out socialbluebook.com. They let you link your sites through them and they can give you pricing ranges based on your numbers! It’s a very helpful tool for starting out. Siteground is who I use for self-hosting, and I chose them because another blogger (ok, a few others) spoke so highly of them. LET ME TELL YOU I’m so happy I chose them because they’ve helped me a TON. When I started my blog, I was on Blogger and decided to switch over to WordPress.org a few months in when I got more “serious”. Siteground transferred my site FOR FREE and helped me through the transition process (which was a hot mess because I am not a techie person). They even answered questions that had nothing to do with their service. So you better believe when I found out they had an affiliate program, I was so down to recommend them to others because of how much they had helped me. Plus, their service is just superior on all fronts. Security, speed, features. All of it. If you use Siteground, you can very easily become an affiliate with them. I know Blue Host has one, too, but I’m not sure how it works as I don’t use them. Another big thing for the digital world is Etsy. There are a lot of Etsy shops that have blogs to share their work or other DIY things. You can sell physical items or digital downloads on Etsy. I’ve gotten all of my blog themes and a few planning things from Etsy. Oh, and this super cute blogger mug. Many bloggers offer various services online such as e-courses, e-books, social media management, coaching services, stock photos, etc. If you find something you’re passionate about and create a course on it, or help other people master it, that’s a great way to make money! Virtual Assistants are a big thing right now to help busy bloggers with the upkeep of all the things that we need to do. There are so many options for this one y’all. There are a LOT of sites out there that you can sign up for to work with brands through. Typically, these sites get you paid post opportunities or free products instead of affiliate links. They work similarly in that you sign up for the site and then apply individually to campaigns and typically have to be approved. Some of the most popular are Webfluential, Activate, InfluenceHER, Upfluence, Revfluence. There are a TON. I think of these sites as Staffing Agencies for bloggers haha. They match you with campaigns based on your skill set, or you apply for them yourself. I haven’t personally had TOO much luck with this route, but I know some girls that have. I dont want my blog to be covered in ads. I don’t like how it looks, so I don’t really use them. You have to have a ton of page views to really make any money with ads, so unless you’re up in the 50k monthly views range and up, they won’t pay you too much! You can post ads anywhere on your page. In your header, sidebar, foot, in the posts themselves. You can also choose the type of ads you want to post. If I really enjoy a brand/product, I might have one ad on my page (like I currently do for Tailwind). But it’s few and far between. This one is slightly different as it’s through Google and is more randomized. They show ads based on what each person that visits your site has looked at by using their Cookies so it’s a more “customized” experience. I’m not a big fan of this one either as you never know what it’s going to show and people might think I put it on there. 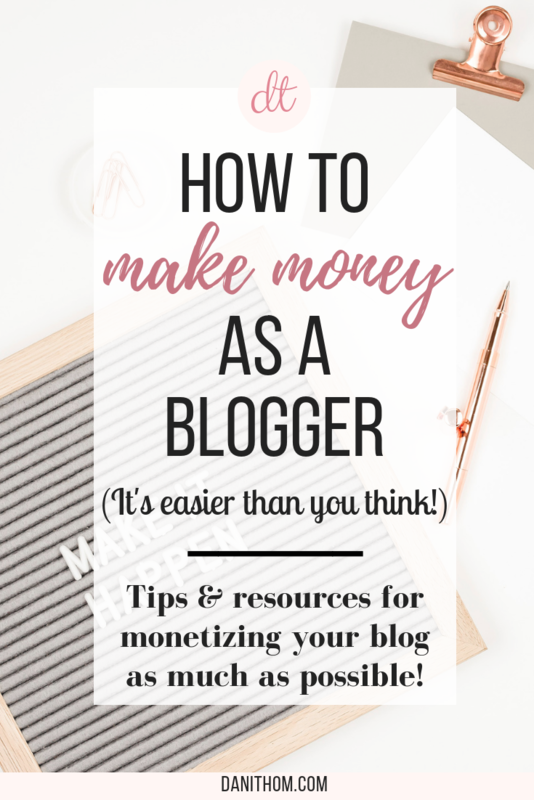 Are there other ways you monetize your blog? Let me know in the comments below!